and navigate this complex settlement. Hire our team of NFL Concussion Lawyers to help navigate the financial compensation that may be available to you through this historic settlement. Call 855.777.7554 or contact us online now for a free and immediate consultation. There is no obligation and all communications are confidential. All retired NFL players have a very limited amount of time to submit their registration papers. Please do not wait to get started. Steckler Law is no longer accepting new NFL concussion cases. Are you a retired NFL player? A family member of a deceased NFL player? 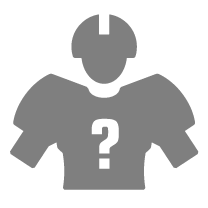 Legal representative of an incapacitated or deceased NFL player? If so, you may be able to receive benefits from the NFL concussion settlement. Many former players assume that they will automatically receive benefits. That is not true. According to the settlement you must register to receive compensation – and time to do so is limited. It is in your best interest to hire an independent law firm like Steckler Law to help you navigate the NFL concussion settlement. Steckler Law is ready to provide you with legal advice and to answer the questions that depend upon your individual circumstances. Contact Us To See If You Qualify. If you played for the NFL you may be entitled to substantial compensation: up to $5 million for the most serious injuries. This money has been made available through a settlement fund established because of the serious risks caused by repetitive concussions and the NFL’s prior knowledge of these risks. You can participate in the NFL concussion settlement even if you are not suffering from memory loss or other concussion symptoms right now. You Worked Hard on The Field. Now We Will Work Hard for You. Our NFL concussion lawyers are available seven days a week to help you understand your legal rights. We will work hard to protect your benefits and maximize the settlement dollars you get – not just now but in future years. Warning: You Will Not Receive a Check in the Mail Just Because You Played For the NFL. The registration and subsequent follow-ups involved with filing an NFL concussion settlement claim is very complicated. If you do not file your claim properly you may lose your right to ever receive financial compensation from the NFL, even if you develop concussion symptoms in the future. It is also critical that you receive neurological testing from a quality, independent doctor. This means a doctor who is not working for the NFL. There is a limited amount of time to get this independent testing before new participants in this settlement will have to undergo testing by NFL-approved doctors. Receiving neurological testing from an independent doctor instead of an NFL-approved doctor may have a direct impact on how much money you receive from the settlement. You DO NOT Need to Be Currently Suffering From Concussion Symptoms to Participate. When you work with an NFL concussion lawyer you are able to establish a “baseline” of your current neurological functioning. We then continue to work with you to ensure that your health is monitored as needed over the years. Then, if any concussion symptoms develop, increase or get worse, we will help you appeal your award in order to provide you with additional compensation. HOWEVER, you will not be able to wait and see how your health plays out down the road. Instead, you have to register now in order to be eligible to file benefits in the future. About Steckler Law NFL Concussion Lawyers. Steckler Law founder, Bruce Steckler, has over 20 years of experience handling complex cases and defending people who have been harmed by big corporations. Steckler and his firm have won a number of awards including being named to the “Top 100 Trial Lawyers” by the National Trial Lawyers in 2013-2016. Our NFL concussion lawyers are committed to helping retired NFL players, the men who gave their all to the NFL, protect themselves and get the help that they may need, either now or in the future. That is why we are offering free and confidential consultations to help you understand your rights, best options and whether or not you qualify. Past results do not guarantee future success. This website provides only general information about the NFL concussion settlement and should not be interpreted as legal advice. Any visitation to this site or any inquiries do not represent an attorney-client relationship.